DJ headphones are one of the most important work tools for people in the DJ industries. DJ headphones are the transmission belt that allows them to coordinate the tracks and not get lost. Therefore, they have special characteristics that differentiate them from other music headphones. There are many options and choosing the best DJ headphone can be complicated. That’s why we’ve prepared a comparison with the best DJ headphones on the market. The list is sorted to price from most expensive to cheap DJ headphones. How to choose the best DJ headphones? DJ headphones are designed to be used in specific circumstances and environments, such as parties or concerts, for example. We recommend DJ headphones built with a light and shock resistant body. You need headphones will be subjected to rough use. In addition, we recommend that you look for a lightweight and foldable pair to transport it easily. The best DJ headphones are usually very comfortable. Therefore, those that we recommend in this article are the closed type, over ear or on-ear. The over-ear and on-ear headphones bring comfortable ear cushions, perfect for long listening sessions, and the closed design provides good sound isolation. These are the main features you should look for in DJ headphones. They must be shock resistant, comfortable, lightweight and closed type. We prepare a list of headphones that have all these qualities. In addition, we present them in descending prices, suitable for any budget. The following are the best DJ headphones, ideal for both professionals and amateurs. Resistant, comfortable, cool design, good sound quality. They are expensive. The bass is a bit oversized. This is good for playing certain music, but not so much to listen to all kinds of music. Pioneer has been launching excellent DJ headphones since 1994. Pioneer DJ headphones are a torpedo and many industry legends are true to the brand. This model was put on sale in 2017 and is the sensation of the specialized HDJ line. The HDJ-X10 model from Pioneer DJ Headphones brings important innovations in design. The moving parts of these headphones are made with a resistant metal that has passed North American army’s resistance tests. 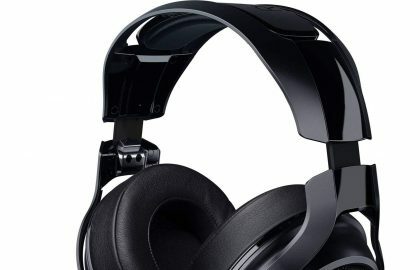 The cups have a comfortable polyurethane leather padding and both the cups and the headband have a nano-coating, something unique among the DJ headphones that makes cleaning much easier. These DJ headphones come with a hard case to transport them and two cables, one in a spiral of 3m and one straight 1.3m. The Pioneer HDJ-X10 are very comfortable. The headband has a soft padding and exerts little pressure on the head. In addition, they are flexible, something very useful for DJs who like to place them in different positions on the neck. Like the HDJ-2000, these DJ headphones have a special mini-XLR input for the cables, so Pioneer cables will have to be purchased if the included ones are damaged, although, at first sight, they seem very resistant. The DJ HDJ-X10 DJ headphones respond very well to music genres such as electronics or hip-hop. The bass is heard in luxury. They stand out from the 80Hz, although they can dim the mid tones a bit. For us, who are very purists, they are not the best to listen to any type of music, due to the strength it gives the bass. But for that reason, they are perfect for mixing genres in which the bass take a lot of presence. The frequency response is surprising: 5 – 40,000Hz and the emphasis on the bass reaches up to 200-300Hz. Even so, the middle tones are perceived with great clarity. The vowels stand out in this regard. The HDj-X10 also emphasizes the high tones from 12hHz. These frequencies are perceived clearly and without any distortion. On the other hand, sound spatiality is excellent, the separation between the different frequencies is very clear. These Pioneer DJ headphones feature a little more depth in the bass and mid-bass tones seem to expand in the mix. In general, the sound is very nice to mix live music. The HDJ-X10 is a great option for people who love listening to or mixing electronic music or hip-hop. DJ X10 headphones have a really tough quality construction and are very comfortable. The price seems right, as surely these Pioneer DJ headphones are capable of holding a few years. One of the best DJ headphones on the market. Good sound quality, powerful bass, comfortable. Frequency response: 5 – 30000 Hz. The Pioneer HDJ-2000 headphones were the Gem in Pioneer headphones line specially designed for sound mixes, among which we also find the excellent HDJ- 700 and HDJ-500. The HDJ-2000-MK2 professional headphones are an enhanced version of the HDJ-2000. They are more comfortable, have a better noise cancellation and their construction is more robust. These DJ headphones are closed-type over-ear and maintain the classic design of the previous version. They are available in black or silver colors. The main difference in terms of design is that these headphones for playing music are more comfortable, so they are ideal for long-term use. The cups integrate soft pads and leather cases. In addition, they are rotating, suitable for any type of work. The headband is strong but lightweight and has a thin magnesium alloy that reduces the pressure of the headphones on the head. They have a folding structure and come with a tough hard case. They are portable and resistant, perfect to carry to any event. 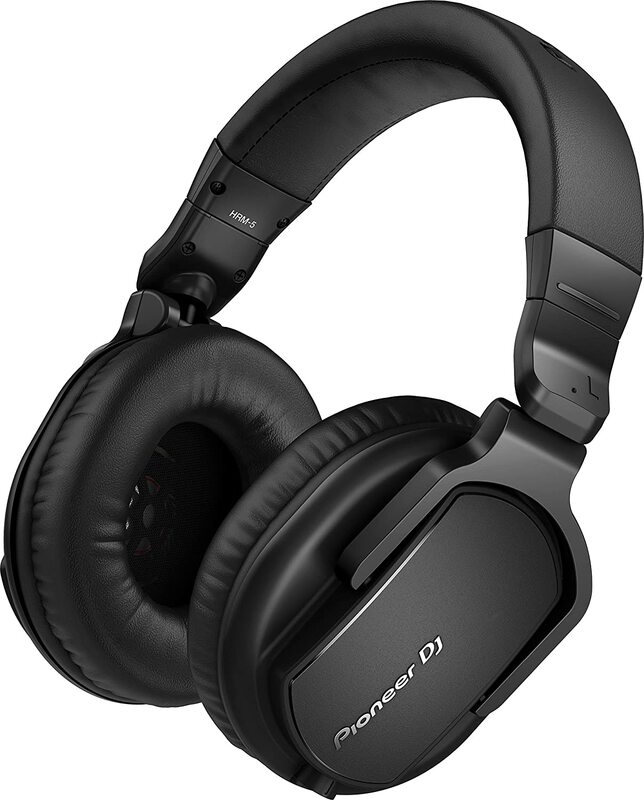 On the outside, these Pioneer DJ headphones look very solid and are suitable for rough use. 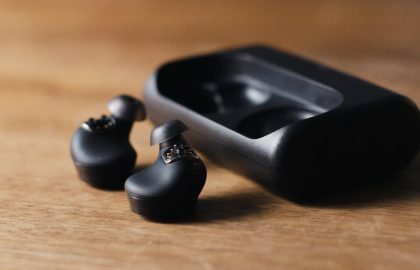 They have a removable mini-XLR input connector that helps prevent possible cable separations and is also easily replaceable. The Pioneer HDJ-2000MK2 headphones come with two cables, one straight 1.6 m, and one spiral 3 m.
The Pioneer HDJ-2000MK2 headphones come with large 50mm drivers that provide a frequency range of 5Hz-30000 HZ, a capacity superior to most professional DJ headphones. They reproduce any frequency with a remarkable clarity, especially the serious ones, which stand out but do not overshadow the medium and high tones. The distortion is imperceptible even when we test them using maximum volumes. This is due to its construction quality and its 3,500W input capacity. The MK2 are better than the HDJ-2000 in isolating the sound. They have new air chambers that increase the isolation in the low and medium frequencies (300Hz to 1,600 HZ) up to seven decibels, compared with the previous model. The cancellation of noise, in addition to the cushioning of the pads, causes you to be able to listen to your music with perfect clarity in very noisy environments, even if you do not use the higher volumes. It is true that the Pioneer HDJ-2000MK2-K headphones are somewhat expensive, but are designed to give a DJ everything he needs. They feature a rugged construction, a warm and quality sound profile, and are more comfortable than any of the other DJ headphones in their price range. For us, it is one of the best options on this list. Sound quality, good design, durability. A little uncomfortable in long periods. Frequency response: 8 -30 kHz. Sennheiser is one of the most iconic brands in the audio market and its Sennheiser DJ products are synonymous with quality. As for professional headphones, the German brand designs very reliable products that if you take care of them, they will last you for decades. We have selected the Sennheiser HD 8 DJ, a DJ headphone that is a torpedo. The Sennheiser HD 8 headphones come in black with blue details and the logo of the brand is present on each side. They have an elegant circumaural design and have good padding in the cups and under the headband. The cups are rotating and have a folding structure. The box has two removable cables, one smooth 3m, and one spiral 1.2m. These Sennheiser headphones have entries on both sides for cables and with safety locks to prevent unwanted disconnections. They also come with extra pads and a hard case to transport them. As a negative point we will say that they can exert a little pressure on the head, so they are somewhat uncomfortable in prolonged use. However, the band brings adjustment points to suit any user. Proper adjustment of the band eliminates a large part of the pressure. The closed design, together with the leather pads, achieve a very good isolation from external noise. The sound quality of these Sennheiser DJ headphones is excellent. This is not a surprise, as the German brand is known for making high-quality headphones. 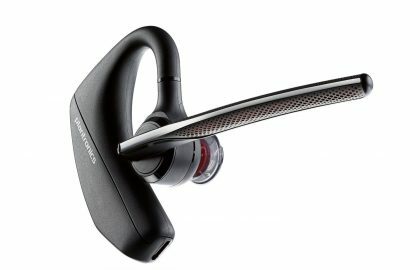 Sennheiser hearing aids are the Mercedes of the world of sound. All frequencies are clear and well rounded. They are perfect both for mixing and for listening to music. And that gives a lot of play. The bass has an excellent depth and does not distort even if we use them at maximum volumes. The response of the bass is great and does not overshadow the other notes in the mix. The mid and high tones have a remarkable clarity. The basses are powerful to mix live without problems, but the sound profile of these DJ Sennheiser headphones is more faithful and higher quality than the competition. We have tried them listening to different genres and in general, they produce a balanced and natural sound, no matter what you play. The Sennheiser HD 8 DJ headphones are an excellent choice for those looking for a balanced and powerful sound. They can be somewhat uncomfortable when used in long sessions, but the sound quality is the best among the DJ headphones on the market. The construction is robust and can surely stand a long time, so the price seems more than justified. Striking design, excellent mid and high tones. Uncomfortable for long sessions. They are expensive. Buy these only if you are that brand conscious. Dimensions: 23.2 x 17.4 x 13.4 cm. The aesthetic is cool. The Beats Pro have a striking and recognizable over-ear design that generates a lot of passion among the young audience. The structure of these headphones is resistant to wear and tear but not so comfortable. They exert a little pressure on the head and can cause discomfort after a few hours. In addition, the edges of the two metal bands, which extend between the headphones, can sometimes be noticed. From our point of view, the internal padding of the band is thin for headphones that can be somewhat heavy. And the cups? The cups feature a comfortable padding and are also swivel, foldable, removable and washable (the latter is necessary for the white model). The purchase package for these DJ headphones includes microphone cable and remote input, ¼ “audio adapter, 4.2m spiral cable with 3.5mm spin lock connector and a carrying bag. The Beats Pro headphones are available in black or white colors. These Beats headphones are designed for DJs and music producers, so their sound quality is of high quality. When we tested them, the Beats Pro headphones handled very well recordings with good sound mixes. The mid frequencies are faithful. The clarity of the vowels and instruments of these tonalities is fantastic. High frequencies sound equally good. Other Beats headphones can have somewhat aggressive highs but this is not the case with the Beats Pro. The response of the bass is remarkable. These headphones reproduce electric basses better than most professional DJ headphones. The quality of the bass is incredible, but they are very present in the mix. 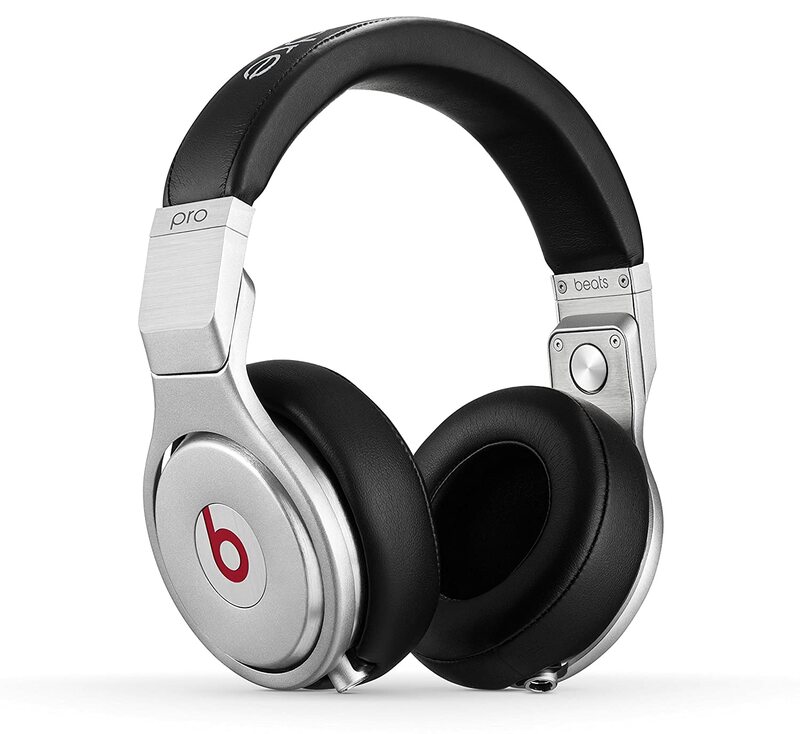 The Beats Pro give much importance to the bass, so they do not have a neutral sound profile. Djs or people who love these frequencies can fall in love with these headphones, but not so much those who seek to listen to music with a more faithful resolution. The Beats Pro is a good option for DJs looking to mix music with high bass presence. The sound profile they provide is great for playing hip-hop or electronic music but it’s not neutral. The only negative point aside from the price is that they can be uncomfortable in long sessions, due to the pressure exerted on the head and its weight. Lightweight, good sound insulation, replaceable parts. They do not have a folding structure. Frequency response: 16 – 22 kHz. The Sennheiser HD 25 headphones are a classic and it seems that they do not fade away. They were released at the end of the 80s and continue to go through the sets of numerous DJs. These Sennheiser DJ headphones feature a simple and functional on-ear design. They are very light, a feature that delights professional DJs. The weight of a DJ headset can make a big difference in marathon sessions. The band can be separated to eliminate the fatigue that can cause when they are used for a long time, and the tension they cause on the head is minimal. The body, although it is made of plastic, is very hard. It holds very well the blows and can even resist a few drops without damage. The only negative point is that they do not have a collapsible structure. Each piece is easily replaceable. The box brings the headphones with a straight cable of 1.5 m, extra pads, a 6.3 mm adapter and a carrying bag. Excellent, like any of the quality Sennheiser headphones. They work very well to monitor sound and for music production. The bass is perceived as precise and controlled and the mid and high tones are very detailed. The sound profile presents a good sharpness in the different frequencies, something necessary when mixing live music. The sound insulation provided by the HD 25 is excellent. This is something strange in on-ear headphones, but the closed design helps in this regard. They have a passive cancellation of decent noise and are very good for mixing music in environments with enough audience. The Sennheiser HD 25 headphones have an impedance of 70 ohms. This ability far outweighs the competition, since DJ headphones usually have between 25 and 30 ohms. The impedance indicates the electrical resistance with which they have headphones, and they indicate to you how much power they need to sound reasonable. The higher the impedance, the better the sound quality, but the input signal weakens more. So, if you want to squeeze the sound quality of these Sennheiser we recommend using them with a headphone amplifier. Simple but effective. 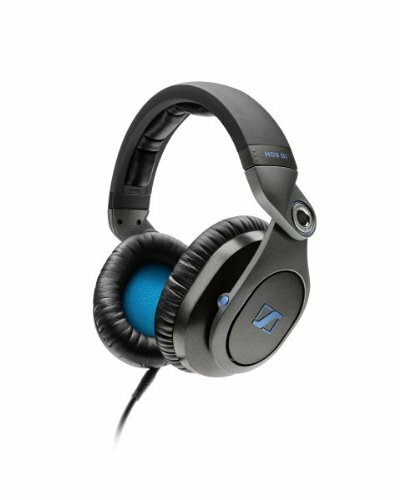 These Sennheiser DJ headphones have a very simple design, but a remarkable sound quality. The company bet on the HD 25 by pragmatic headphones and nothing flashy that do the job perfectly. The sound clarity is great at all frequencies, they are comfortable and have good noise isolation. All parts of the headphones can be replaced in case of damage and have an excellent quality/price ratio. 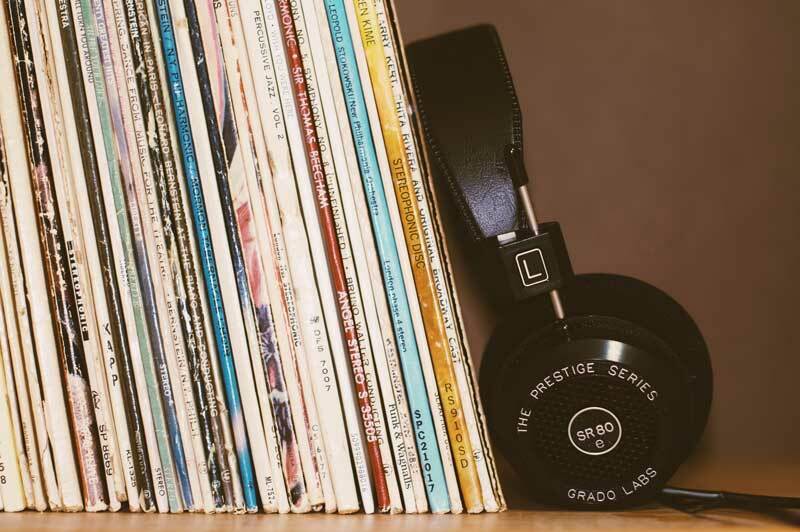 For something more than two decades have been used by big names in the industry: they are better than many of the most expensive DJ headphones on the market. These DJ headphones are very resistant. They present a braided cable with Kevlar material and metal plates on the back. Even the integrated plastic elements seem very solid at first sight. The V-Mode Crossfade LP2 is closed-type over-ear headphones. The cups rotate only about 30 degrees up or down. This can be a problem if you like to move the cups 90 or 180 degrees to the sides, but if you mix them by placing a glass directly in one ear you will not have problems. They are very comfortable and you can use them in long sessions without problems. They do not have a folding structure, so you’ll have to use the hard case they carry to transport them. The company includes two cables with the purchase: a standard one to connect the headphones and another that includes a microphone and remote control. The remote control allows you to adjust the volume, as well as some general functions and the microphone. Although it is not necessary to use it in most of the occasions, it is quite useful if you want to use them to listen to music from your phone or tablet. They work perfectly with iPhone and Android phones. The Crossfade LP2 is a good option if you need excellent headphones to mix music and listen to music. They are compatible with the V-Moda BoomPro microphone, an accessory that adds a Boom microphone to the headphones. Like most V-Moda headphones, LP2s feature accentuated bass tones. 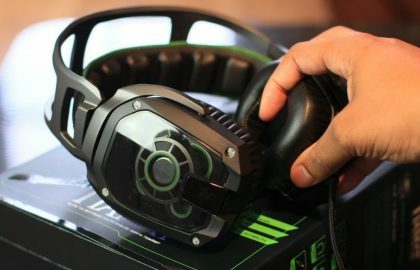 They do not have the neutral profile that the purists of the sound want, but they are perfect for live mixing or even for gamers. 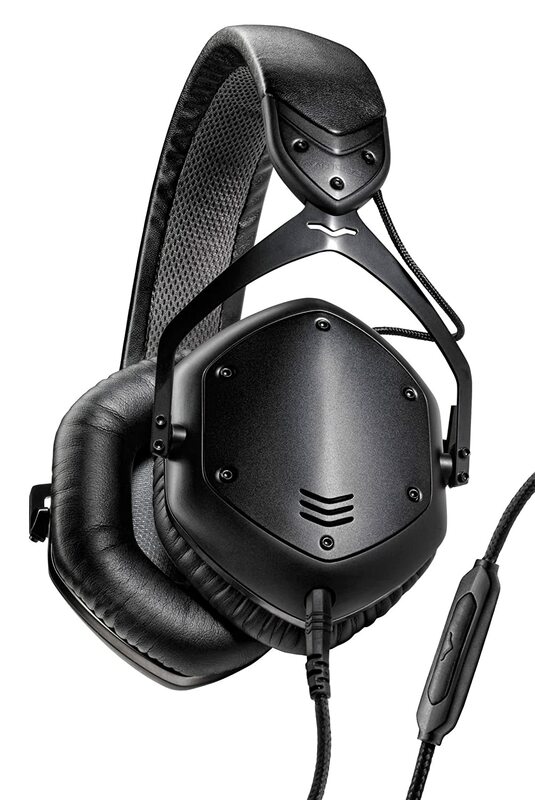 V-Moda integrates two sound profiles in these headphones. One called M-Class, to listen to music , and the LP-Class , created to mix live music . The M-Class mode has greater sound fidelity while the LP emphasizes the bass. The two modes have powerful bass, but the sound is perceived warm and very pleasant in both. These DJ headphones produce some distortion in the lower tones, but it’s nothing to worry about. You probably do not notice it, even when looking for it. In general, DJ V-Moda headphones are perfect for electronic music or other musical styles with accented bass. The V-Moda Crossfade LP2 headphones are an ideal option if you are looking for a quality and durable equipment to play. They have a tough construction like no other, and in case they get damaged, V-Moda gives you a 50% discount on an upcoming purchase. They generate a pleasant sound with powerful basses and are perfect for those who seek to mix primarily electronic music or hip-hop. Low punch, good stereo sound. 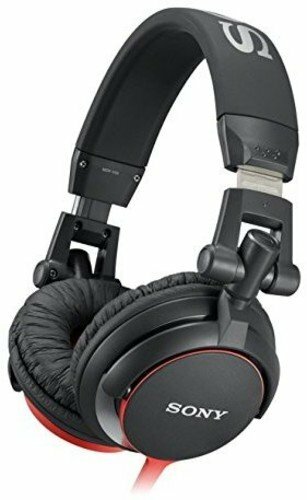 One of the best DJ headphones in terms of value for money. Noise isolation is not the best. Frequency response: 5 – 40 kHz. 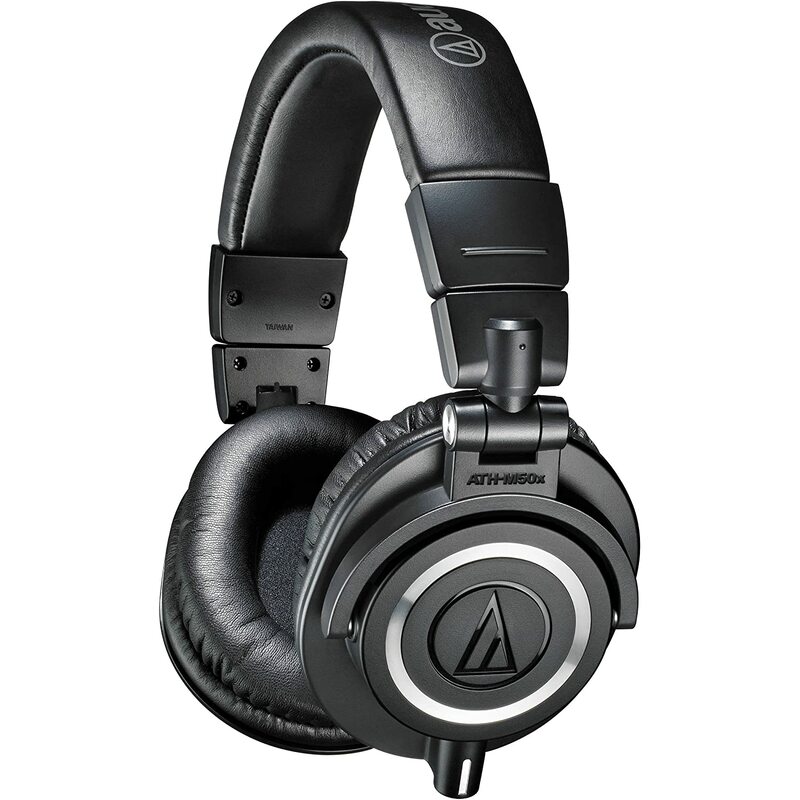 The Audio-Technica ATH-M50x DJ headphones are the new improved version of the ATH-M50, a pair of popular DJ headphones. This version presents several optimizations: they are more comfortable, they sound better, they bring several removable cables and they only cost a little more than the previous ones. The Audio-Technica ATH-M50x is a high-quality over-ear headphone. The construction is quite solid: they are mainly made of hard plastic and the cups and band are reinforced with metal. They have cushions of a very soft material to the touch and the cups can be rotated 90 degrees, something very useful when you are the dishes. The design of the ATH-M50x DJ headphones is attractive. Something big, but the glasses and the band adapt well to the head. Like many of the best DJ headphones, they come with a standard removable cable with 2.5mm input and 3.5mm output. The cable entry has a safe to prevent disconnections. Audio Technica includes with the purchase a 6.3 “jack adapter and three cables: one of 1.2m for portable use and two longer (smooth and spiral) of 3m. The size of these headphones helps our ears feel free and the pressure caused by the band is minimal, even when used for prolonged periods. They are ideal to carry anywhere because they have a folding structure. The ATH-M50x compete with the Pioneer HDJ-2000MK2 in terms of comfort, although they fall short when it comes to isolating external noise. This is the only negative point we find in these DJ headphones. Good. The Audio-Technica ATH-M50x headphones offer a sound that can satisfy even the most demanding audiophiles. They have a quite powerful bass power, something that DJs appreciate. However, low frequencies do not overshadow medium and high tones. Although they are closed headphones, their sound is perceived close to the best open headphones. They offer an excellent sound, expansive and very clear in the different tones, and their frequency range is surprising. The vowels are soft and detailed. In general, the sound they produce is exciting. They are perfect to listen to any type of music or to mix, which gives quite a game. The power of the bass can be too much when we use them to listen to audiobooks, but when listening to any song the experience is totally pleasant. The ATH-M50 has been revered by professional DJs for years and the new model maintains the same level of quality. These DJ headphones can also be used to monitor audio in the studio. They are designed to play music with high precision and do a tremendous job. Its sound balance has a good fidelity, although it feels somewhat warmer than normal. The Audio-Technica ATH-M50x headphones are excellent. The sound quality is great and they are very comfortable. They are not so good at isolating external noise, but for us, they are one of the best DJ headphones in terms of quality/price. Comfortable, good sound quality, affordable. They are not so robust. 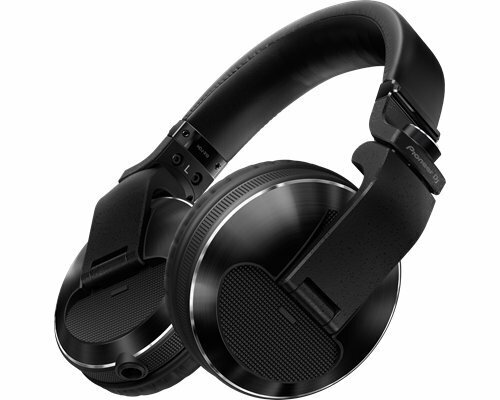 The Pioneer DJ HRM-5 are a pair of cheap and portable DJ headphones of good quality. They come with two removable cables: one smooth of 3m and another in a spiral of 1.2m (3m extended). They also bring a bag to facilitate their transportation. The band is reinforced with stainless steel, can be easily adjusted and has a folding structure. The cups have rectangular shapes and can rotate 180 degrees. Both the cups and the band have an abundant padding of memory foam that is very comfortable. They have a closed over-ear design that isolates external noise very well. In general, they have a simple but attractive design and are ideal to use for extended periods, both at home and in external environments. The quality of construction is not as robust as in the Pioneer headphones mentioned above, but this is to be expected due to the price. It is rare that Pioneer catalogs the HRM-5 as DJ headphones because they have a neutral sound profile and high fidelity. They can be used perfectly to produce music or listen to it critically. These professional Pioneer headphones have a good mix of deep bass, articulated mid-tone, and treble with many details. They have a nice sound profile, no matter what genre of music is played. The bass is not emphasized as in other DJ headphones, so they produce a sound more suitable to listen to every day. The sonic spatiality is excellent for cheap DJ headphones. The different frequencies are well separated and the smallest details are perceived. The HRM-5 offers a very powerful sound. We tried them with a smartphone and at medium volume and they sound quite loud. They have an excellent frequency response that reaches up to 30kHz and a maximum power input of 1,700mW. Pioneer HRM-5 professional headphones are an excellent affordable option, both for mixing and for good quality music production. They have all the qualities that a DJ can look for: they are comfortable, foldable, they bring glasses that can rotate 180 degrees and are resistant. On the other hand, the sound profile is very nice and has a more faithful mix than most DJ headphones. They are the best DJ headphones in their price range. Frequency response: 5 – 25000 Hz. 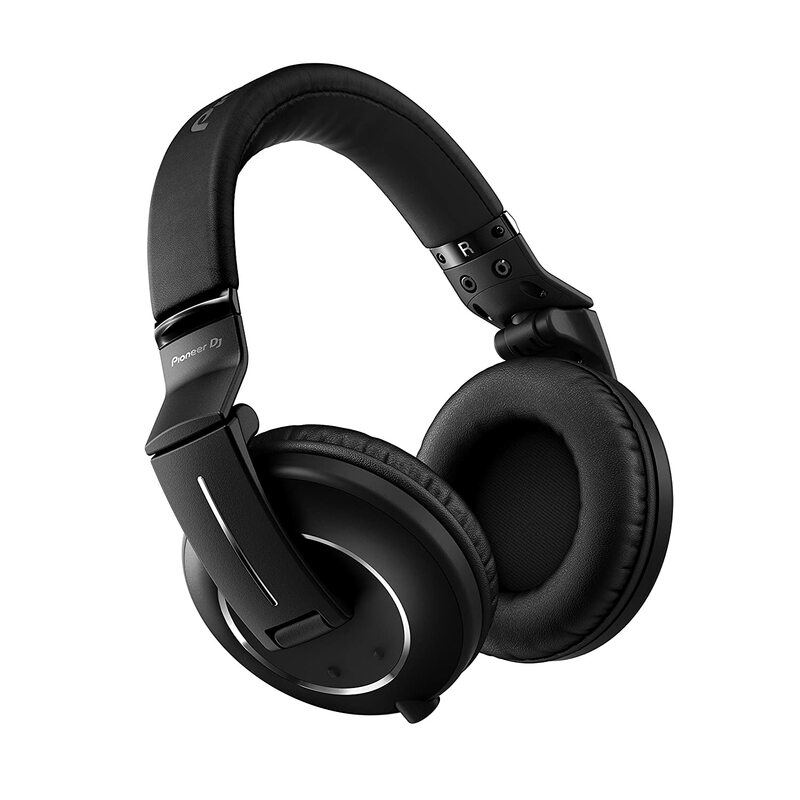 The Sony MDR-V55 DJ headphones have a folding structure and rotating cups with cushions that are pleasant to the touch. They are constructed of a hard plastic that seems to be resistant but that sounds a bit when using them. The band has a light rubber padding that helps to hold the headphones and to separate the head from the metal skeleton of the band. 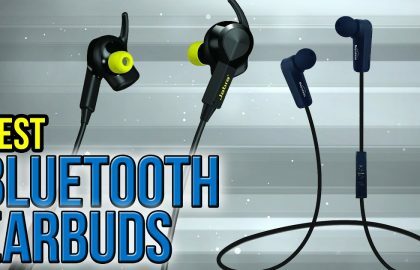 The band is quite flexible but they are less comfortable than other headphones in this price range. Although their size can deceive, they are on-ear headphones (the cups rest on the ears and do not cover them). They can generate enough sweating if they are used to mix live in hot environments. The design is quite simple but attractive. They are available in black and white colors and the glasses have details in red, black and blue. They are lightweight, weigh 220 grams, and come in a box with a non-removable 1.2 m cable. It also comes with an L-shaped jack adapter on the end for added protection. The construction of these Sony headphones do not love us, but the sound is excellent for cheap and quality DJ headphones. They have dynamic 40mm drivers that provide a good frequency response of 5-25kHz. Given that they are DJ headphones, it is not surprising that the sound profile chosen by Sony grants a lot of relevance to bass guitars. These are very deep but they are controlled: they do not detract from the low-quality media, which are clearly perceived. The clarity offered in the mids is excellent for cheap headphones. In this section, they behave better than several more expensive models of this brand. The response of the treble is very good too: they have a lot of presence in the mix, and next to the deep bass, they present a dynamic and vibrant sound profile. Cheap DJ headphones tend to pay too much attention to bass, which causes the final mix to lose a lot of quality. The Sony MDR-V55 have the bass emphasis desired by many DJs, but these do not overshadow the other notes. The frequencies present a good separation and clarity, although the highs might sound a little softer. Laptops, good sound quality, affordable price. They are not very robust. Frequency response: 15 Hz-20 KHz. 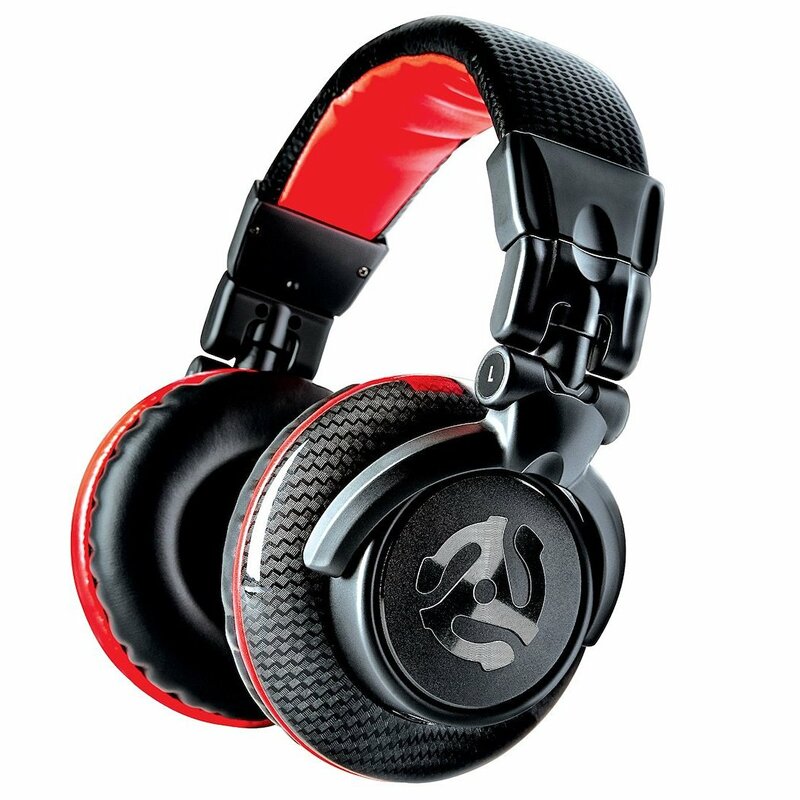 The Numark Red Wave Carbon features are special on-ear design for DJs. They are light for the size they have and can be used for extended periods, as long as you take some breaks. The box includes a smooth removable 2.5m cable, a 63mm adapter and a soft cover to transport the headphones. The headband has a metal skeleton covered in gray and red plastic padding. The logo of the brand is on the outside of both cups. These can be folded inward for easy transportation and can rotate 180 degrees vertically, or 90 degrees sideways, to monitor with one ear. The quality of construction is not excellent, since it has a lot of plastic, but it has good details, like the leather that serves as a padding for the cups. The band can be adjusted to suit any user. They exert some pressure on the ears but the softness of the cups reduces discomfort. The closed design provides a very good passive noise cancellation. These DJ headphones feature 50mm drivers that provide deep and powerful bass response. The voices are perceived very warm, the sound profile is dynamic and very detailed and clear in the different frequencies. They produce better sound than most DJ headphones in this price range and their sound isolation is excellent. The mix emphasizes a little more to the basses, but the high and medium tones are perceived with good separation. The sound profile is not neutral, but it is perfect for mixing. The sound is somewhat muffled if we compare it with the Sennheiser HD 8 headphones, for example, but they are much more affordable. The Numark Red Wave Carbon is a good choice among affordable DJ headphones. They are light and the sound quality is more than decent, with a warm and pleasant profile. They are not as comfortable or durable as the more expensive models, but this is something to be expected. 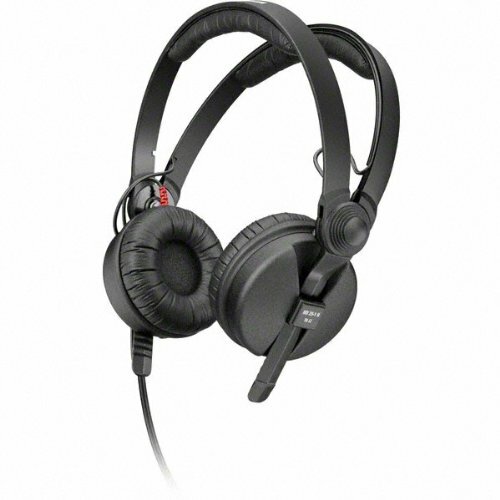 There are many options and choosing the best DJ headphone can be complicated. That’s why we’ve prepared a comparison with the best DJ headphones on the market. The list is sorted to price from most expensive to cheap DJ headphones.